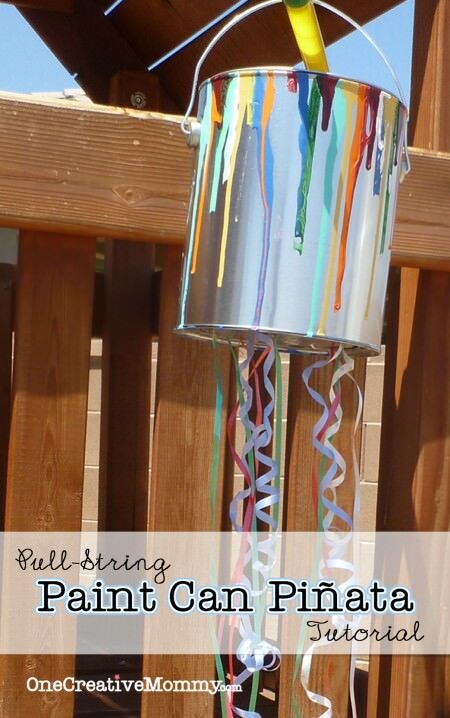 I’m back today with more Frozen Party ideas! 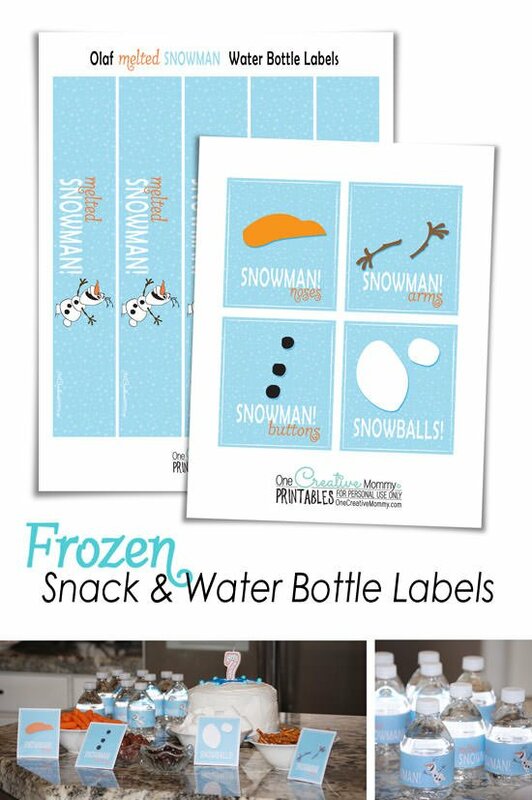 Today I’m sharing Frozen Printables for Olaf Snowman Snacks and Melted Snowman Water Bottles. If you know me very well, I am big on themed party ideas and games, but I’m not too big on decorating. I go all out for party games and food, but I have yet to decorate the whole house for a party theme. (The closest I came was my Harry Potter Party.) That’s not because I don’t like to decorate. It’s just because I usually run out of time! The Olaf snowman snack and water bottle labels I’m sharing today actually added quite a bit to the look of the party. (Almost like I had decorated on purpose!) I did do streamers and balloons, too, but that’s as decorated as I get! 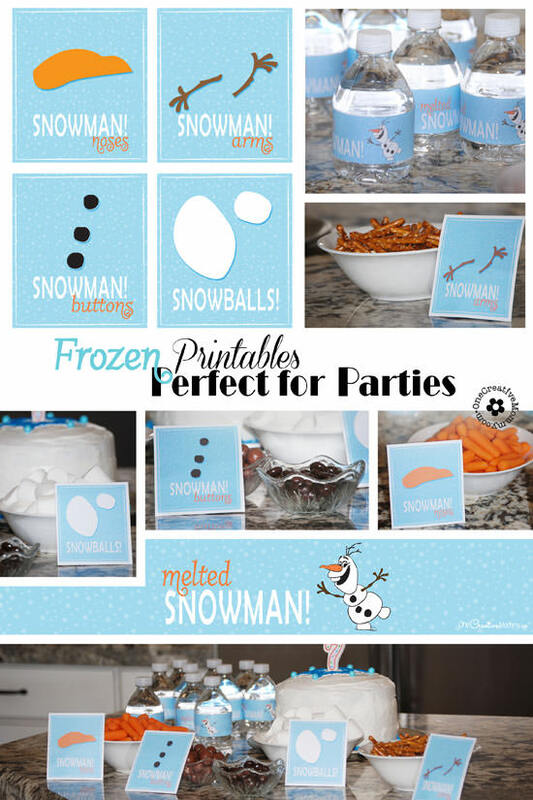 When planning for this party, I saw these awesome Snowman Snack Labels on Our Best Bites. They were adorable and perfect for a winter party, but– you know me–I just can’t do things the easy way. I had to make my own that looked like Olaf! So, I present to you: Olaf Snowman Snack Labels and Melted Snowman Olaf Water Bottle Covers! They’re really easy to use. The water bottle bottle covers fit perfectly on mini water bottles. (Who needs a fancy party drink?) I made them extra long so that you can trim them to fit different-sized bottles. Now you can turn ordinary water into melted snowman! It’s magic! The kids at our party loved getting their own special drink, and not once did they complain that it was just plain water instead of something fizzy or fancy! As for the snack labels, just cut them out and prop them up. I used carrots for noses, whoppers for buttons (with junior mint buttons for my gluten-free kiddo), pretzel sticks for arms, and marshmallows for snowballs. The kids ate them (along with blue jello jigglers) for a mid-party snack. (Some kids even tried to build snowman out of marshmallows and pretzel sticks. I guess that was one time it was okay to play with their food! So, what do you think? 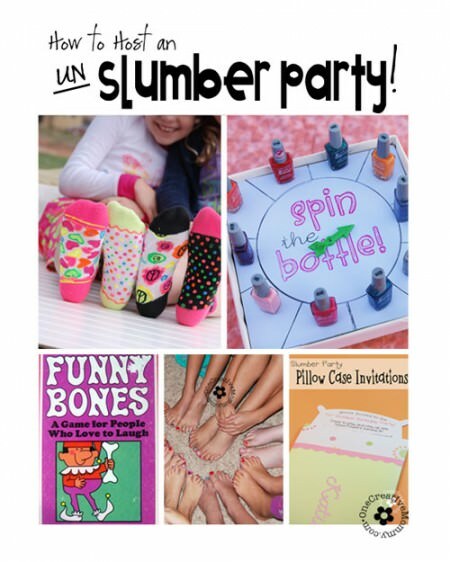 Would you like to use these printables at your next party? Click the link below to go to my download page. If you love my ideas, please share them so that others can get in on the fun! How cute! Love Frozen, especially Olaf! The snowman noses is such a great idea! Thanks, Sarah! At least there was one healthy item at the party! The water bottle labels are too cute! What a fun party! Thanks, Julie. It was really fun, and the water bottles were a hit. Who knew that water could be such a great party drink? How cute are these labels?! 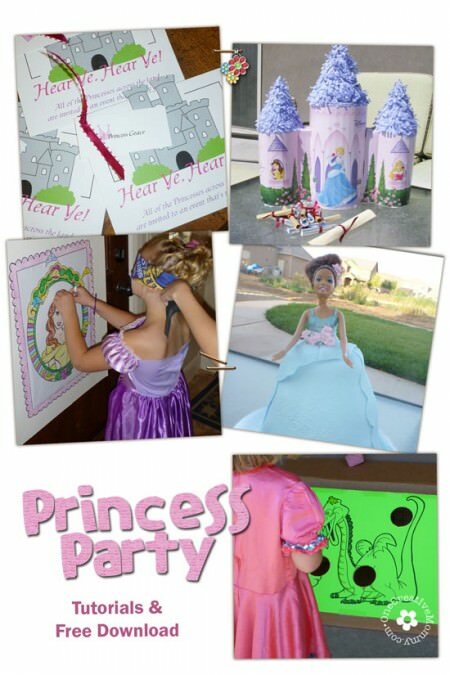 Love these especially since I’m looking for ideas for our own Frozen party for my 7 year old girl. Pinned! These are so cute, and I know everybody on the planet is having a Frozen birthday party. Thanks for sharing. Hello from Craft Frenzy Friday. Thanks so much, Heather. It was really a fun party.